As all baseball fans sit around wondering to themselves "the World Series really doesn't start until Tuesday?" I'm about to go crazy posting Royals cards. 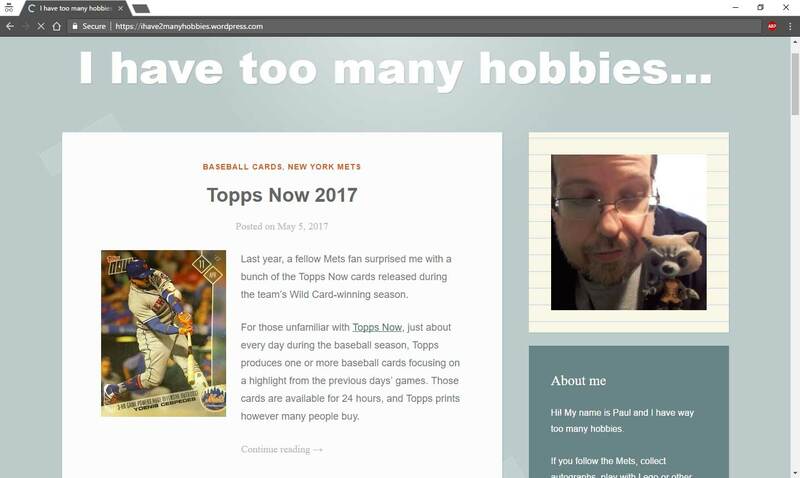 Before moving to Georgia this summer I lived in Kansas for five years and I've received thousands of Royals cards through trades with blog readers over the years. Of course, wouldn't you know that the first time the Royals make the World Series in nearly 20 years and nearly all of my Royals cards are in storage in Wisconsin. 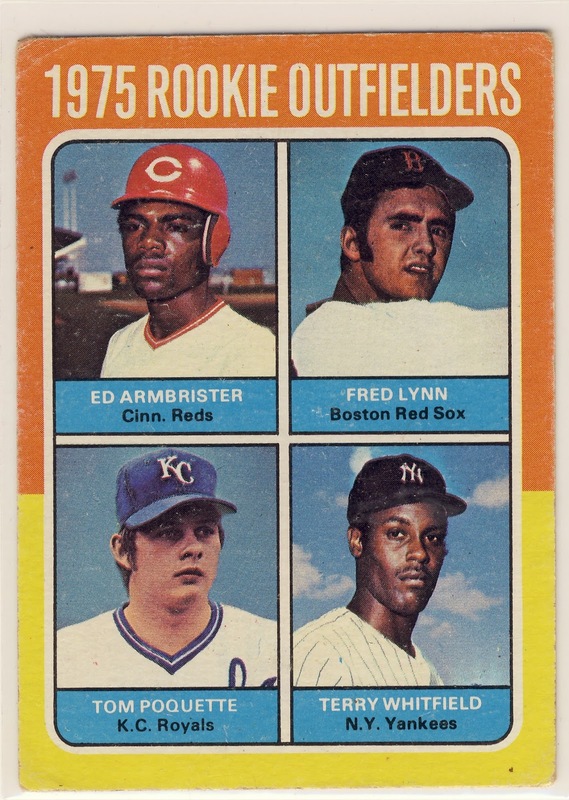 I did luck out in that I do have several cards of my all-time favorite Royal. 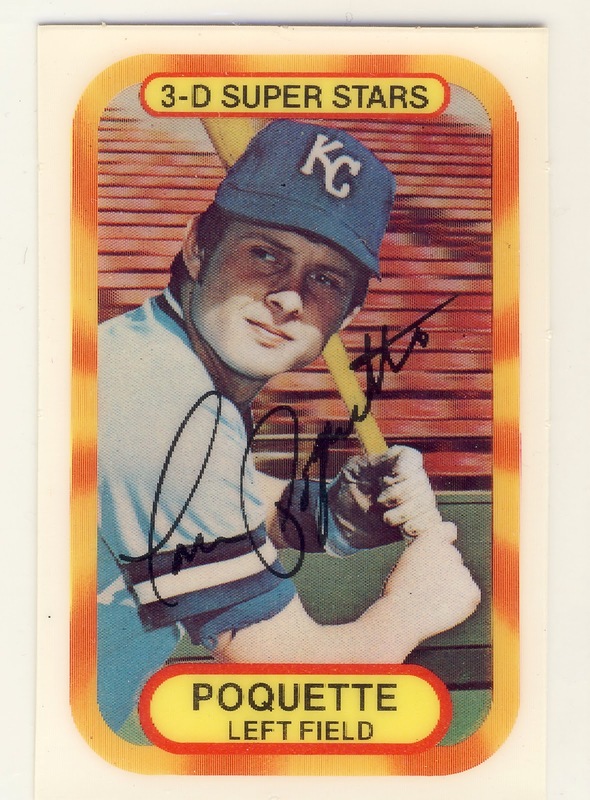 George Brett, you ask? 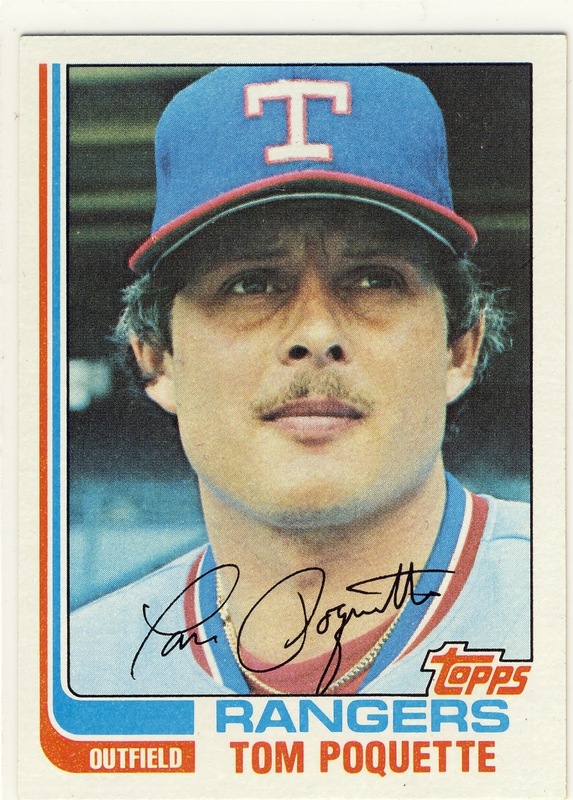 Or maybe Frank White, Hal McRae, Willie Aikens, or Carlos Beltran or Johnny Damon before they left for greener pastures. 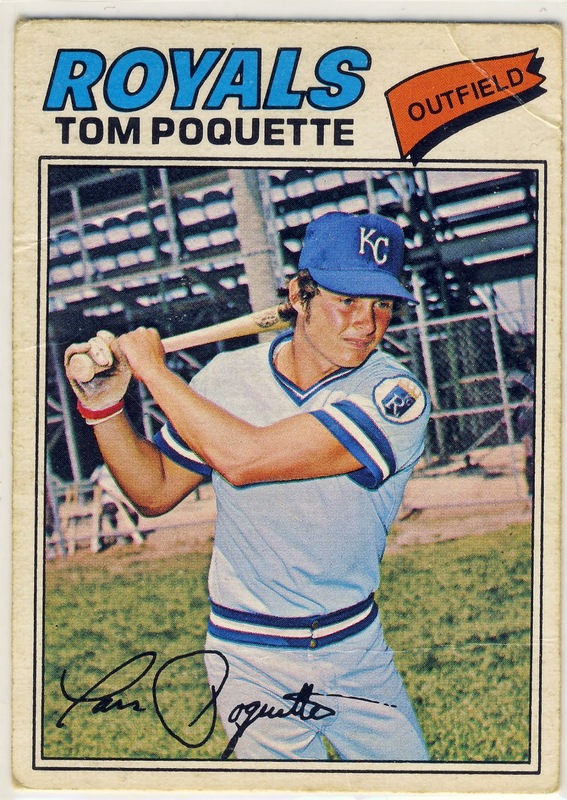 No, my favorite Royals player is an outfielder for the Royals from the late 70's named Tom Poquette. 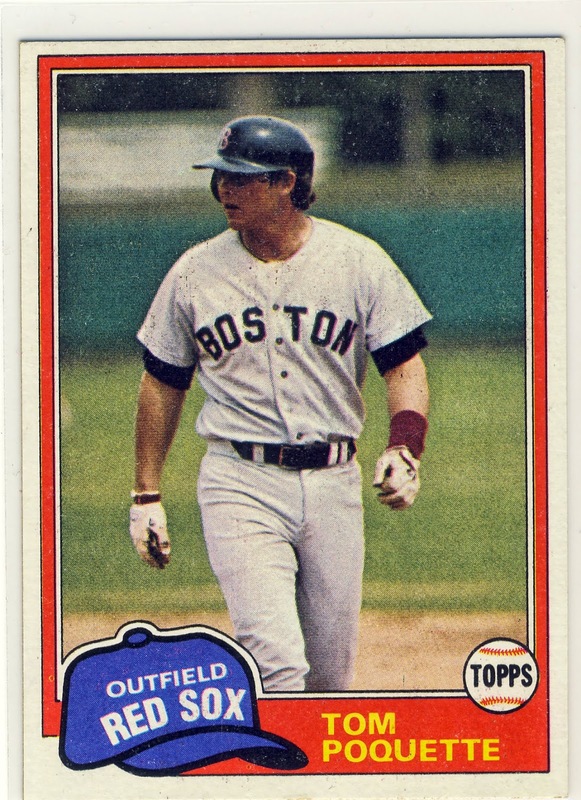 And it's not because he shares his rookie card with Fred Lynn. And it's not because he was a 3-D Super Star. 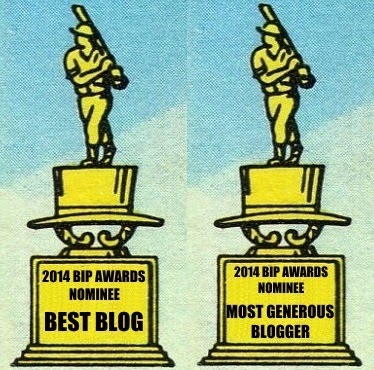 And it's not because he got to have a shiny gold All-Star Rookie Cup on his second year card. 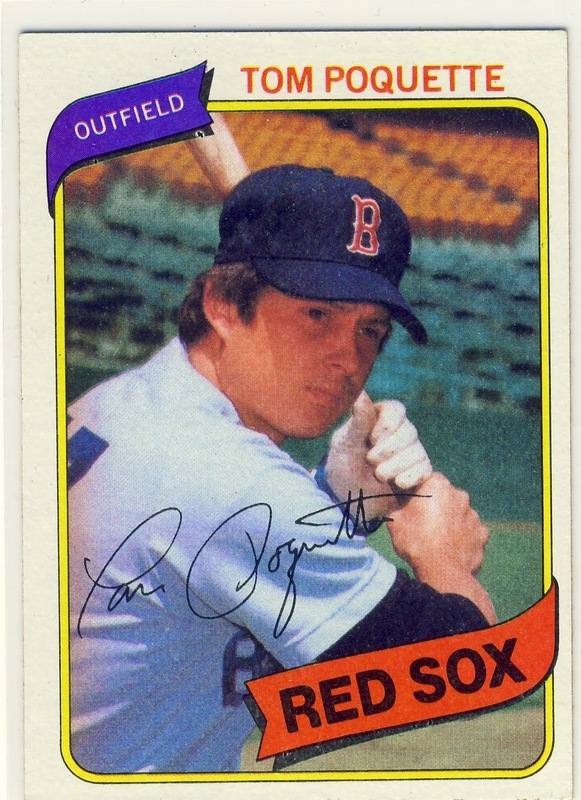 And it's not that his 1977 O-Pee-Chee card ditches the All-Star Rookie Cup and moves the signature slightly. 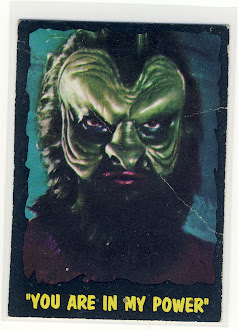 You can find the reason on the reverse side of the O-Pee-Chee card. Tom was born and lives in Eau Claire, WI which is also my hometown. 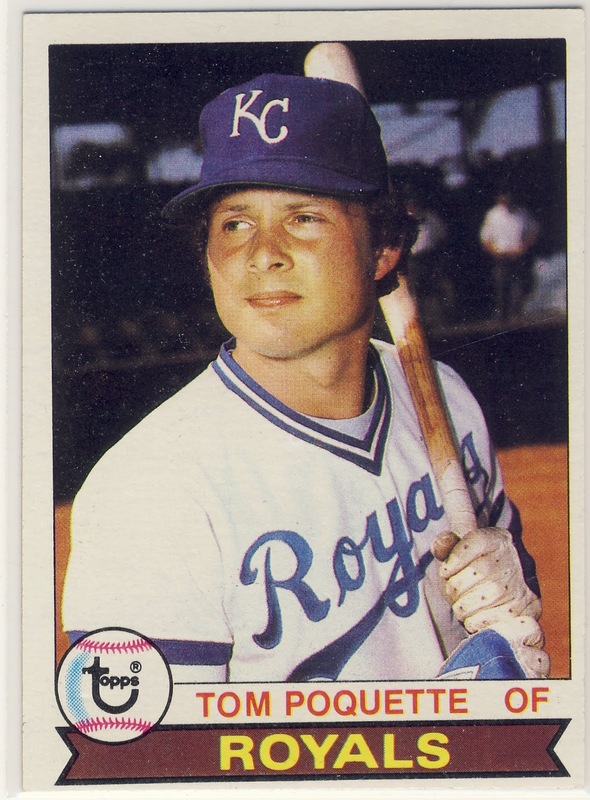 Tom played in parts of five seasons with the Royals before being traded to the Red Sox for the legendary George Scott. 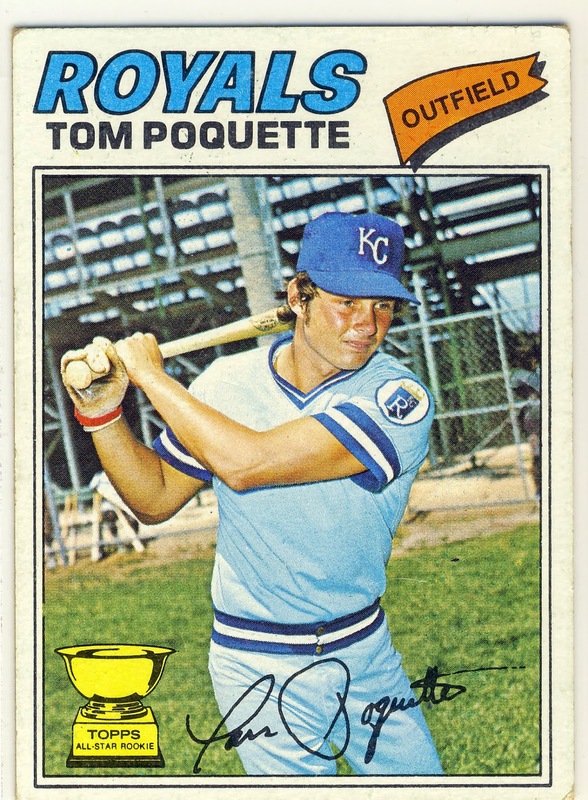 Tom then bounced around with the Red Sox and Rangers before going back to the Royals in 1982. 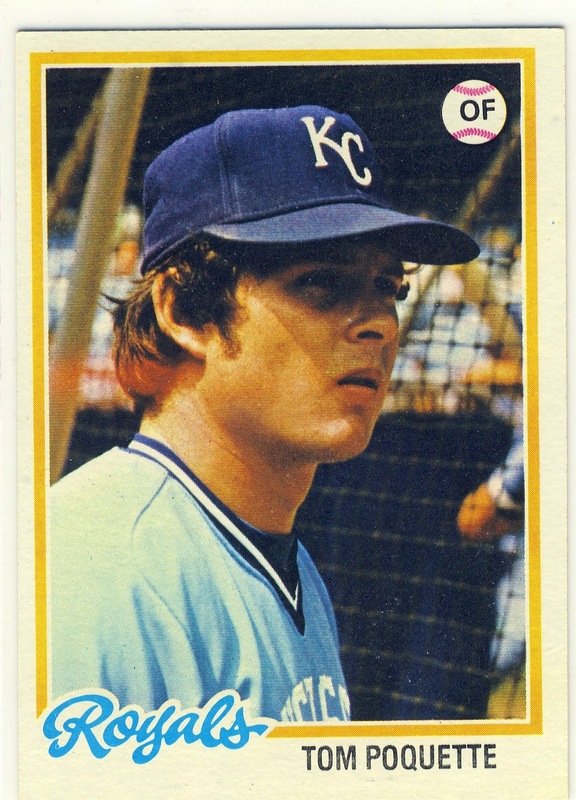 Since then he's been a coach in the Royals farm system for many years. I guess my dad was right... you learn something new every day. 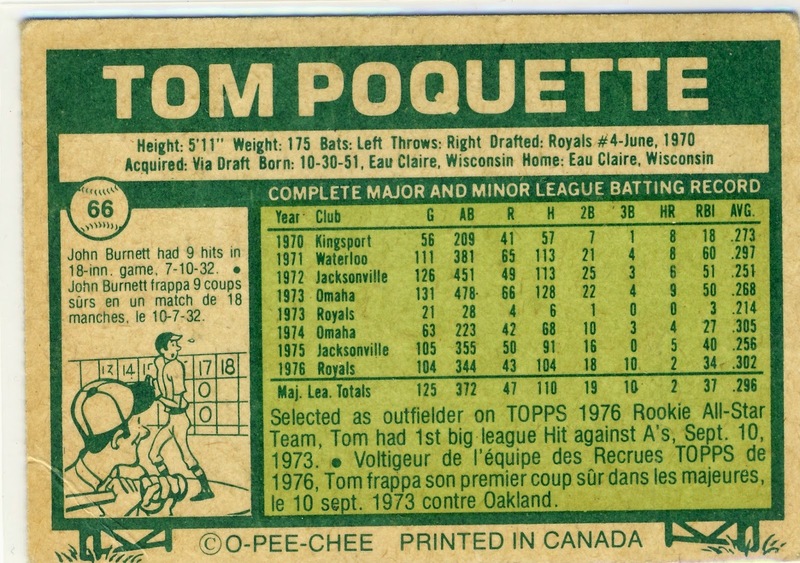 I don't remember hearing of or seeing any of Poquette's cards and I own my fair share of 1980, 1981, and 1982 Topps cards. Hope the Royals win!